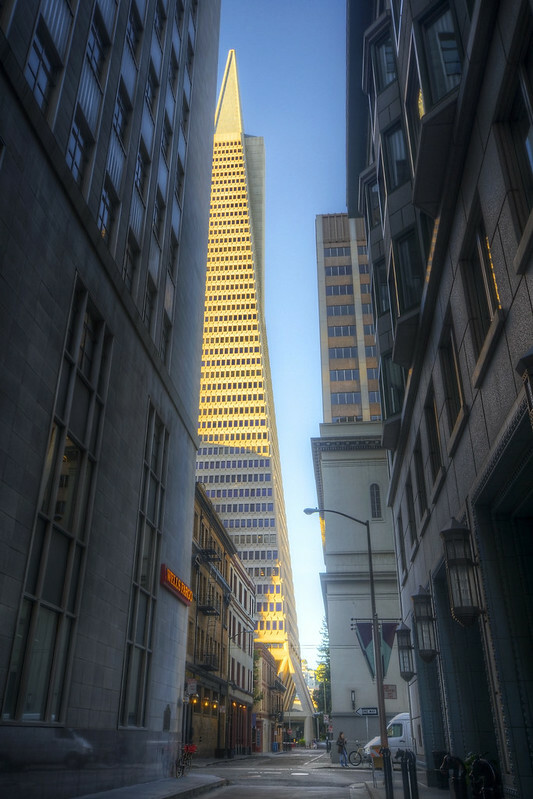 The side streets of San Francisco let the sneaky photographer creep up on an unsuspecting building. The tallest building in the skyline looks oddly small in this context. I particularly like the details at street level—restaurants, people, and signs, all a world apart from the geometric perfection of the pyramid. It’s also a fun example of perspective to have these “lesser” buildings looming over the tallest building in the skyline.